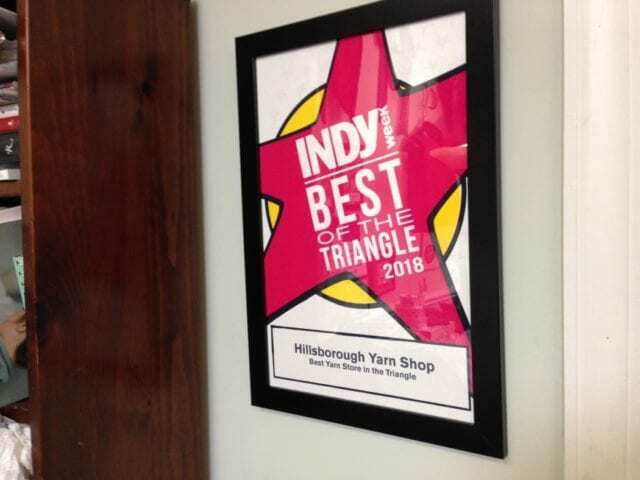 Last week, IndyWeek announced their Best of the Triangle for 2018, and we are so proud to report that once again, we’ve been named Best Yarn Store! 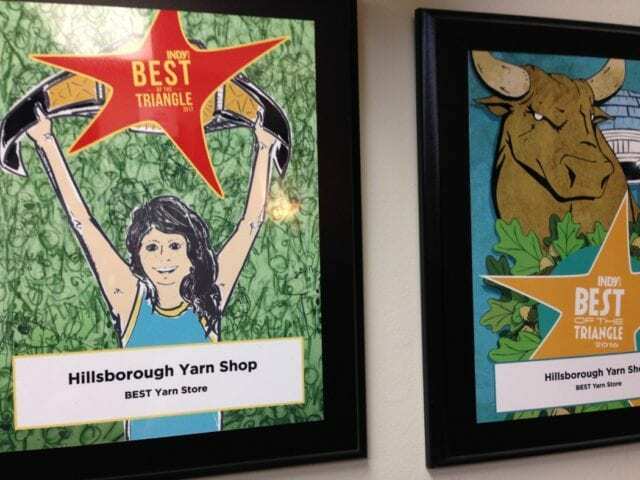 This is our third year in a row winning the title Best Yarn Store in the Triangle, and we truly feel honored. We’re looking forward to another year of bringing helpful classes, beautiful yarns, quality tools, and inspiring publications to our fiber-loving community. Many thanks to those who voted for us, and to everyone who’s supported the shop over the years! Last week, IndyWeek announced their Best of the Triangle for 2017, and we are so proud to report that once again, we’ve been named Best Yarn Store! It felt amazing to win this title last year, and even more amazing to win it again. We’re looking forward to another year of bringing helpful classes, beautiful yarns, quality tools, and inspiring publications to our fiber-loving community. 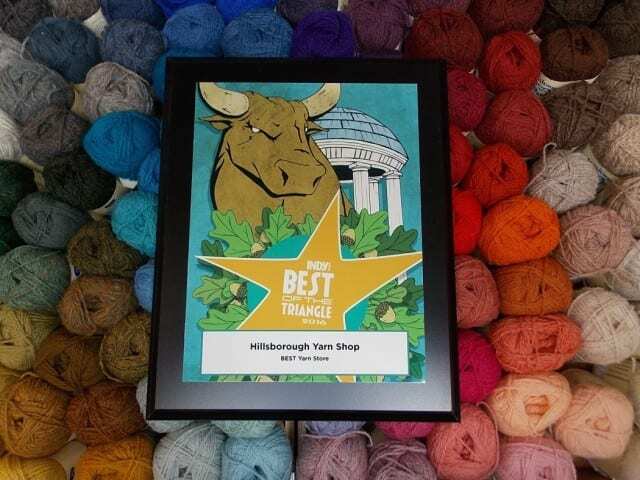 Just as we were preparing in earnest to attend TNNA last week, we got some very encouraging good news: we were voted “Best Yarn Shop” in the IndyWeek’s Best of the Triangle 2016! We headed off to market bolstered by your enthusiasm, and looking forward to bringing a bunch of exciting new yarns and ideas home for the coming year. Thanks for all your support over the years, we feel so honored and grateful for the community around us!